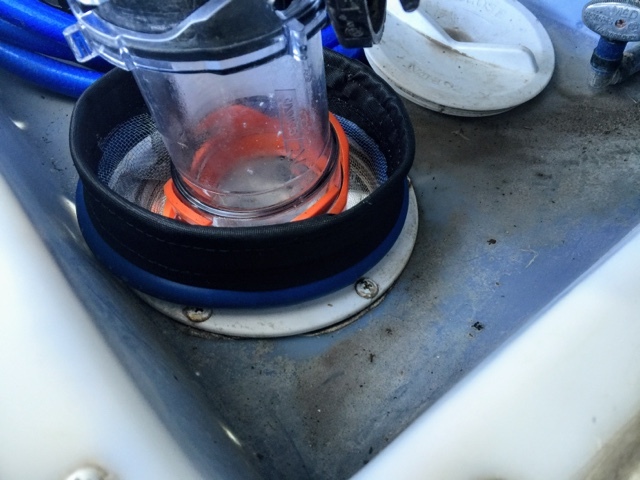 With this three month stay at Horseshoe Cove RV Resort we needed to make a few improvements to the coach. 1. 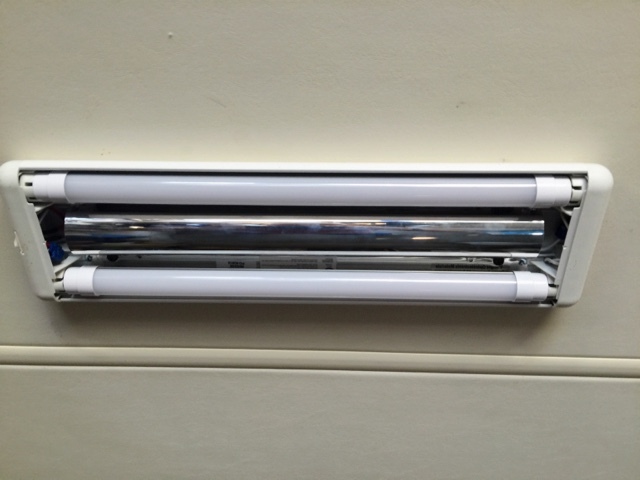 First we have ordered the Magne Shade System for installation on the Main Front Window of the coach. 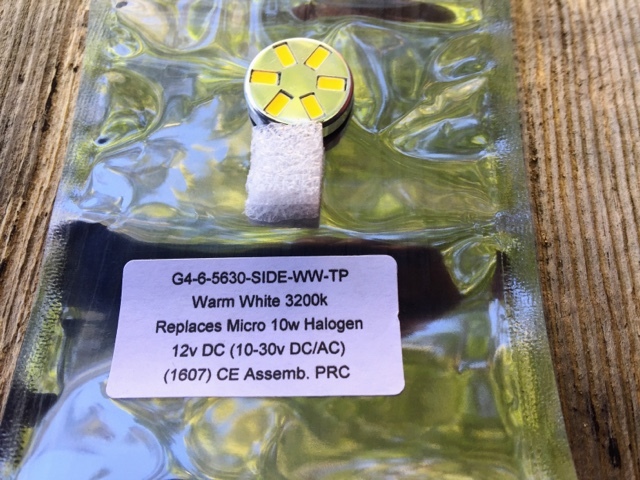 This should help block about 90% of the sun light and heat from coming inside of the motorhome. We should have them by middle of December. 2. Next I have upgraded all of the inside light fixtures with new LED lamps. We had to replace total of 21 incandescent lamps. Plus total of 16 fluorescent lamps. 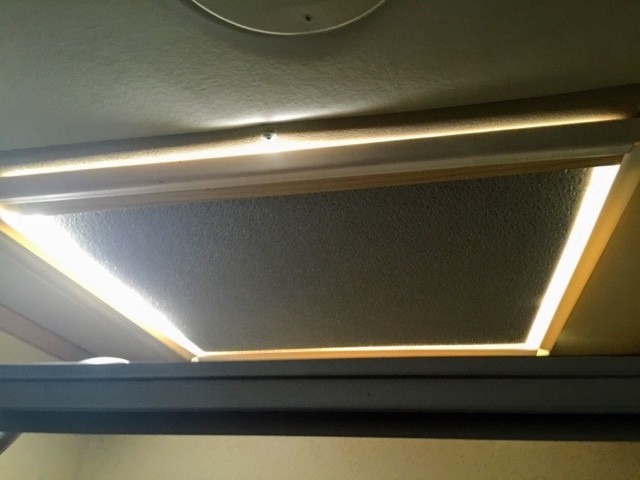 To change the fluorescent lamps I had to remove the light fixture and rewire the light system in each fixtures (8) and reinstall back into the motorhome. 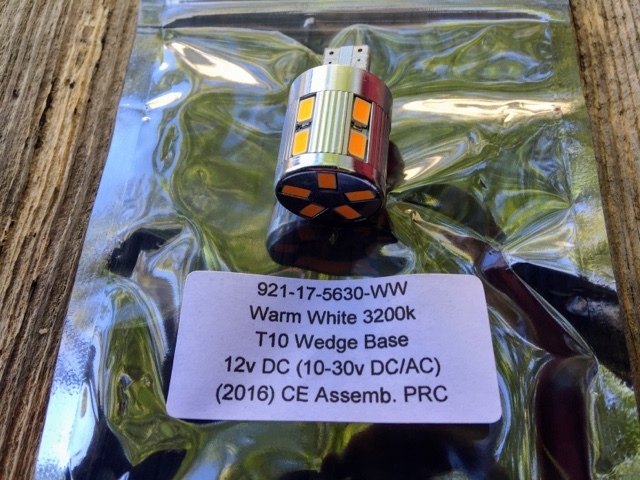 We purchase the incandescent replacement lamps from M4Product.com and fluorescent replacement lamps from Fulight Optoelectronic Materials, LLC on Amazon Marketplace. 3. 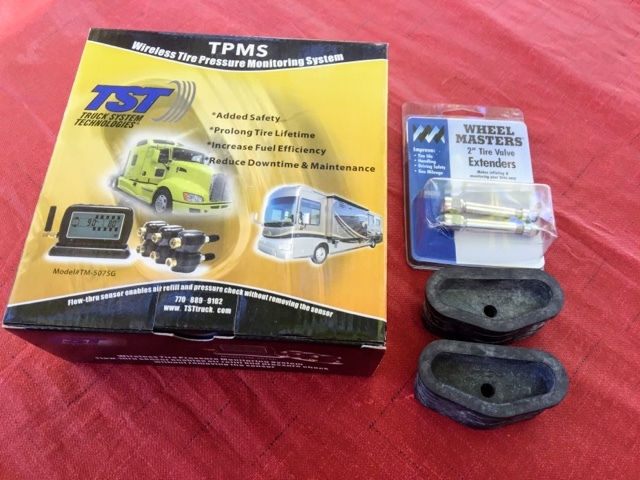 Next we have purchase a Tire Pressure Monitoring System to monitor the motorhome tire's as we drive down the road. But to install the system we needed two value extension and two stem extension stabilizer for the front wheels. Found the items at "AlwaysShinyWheels.com". 4. 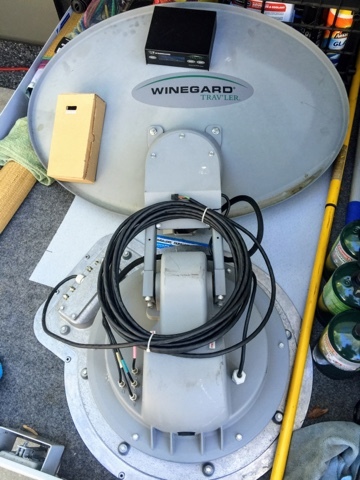 Next I found at a garage sale within the RV Park a Winegard Trav'ler Dirctv HD Antenna cost new about $1500.00. This one was 3yrs old and I got it for $75.00. So later this spring we will be going to Tiffin Factory in Red Bay, AL to have the antenna installed and motorhome's TV cable system up-dated. 5. Ok next item, I made a "Sun-Shade" to install on the sky-Light above the shower. This helps block the sunlight and heat from coming inside the coach. 6. 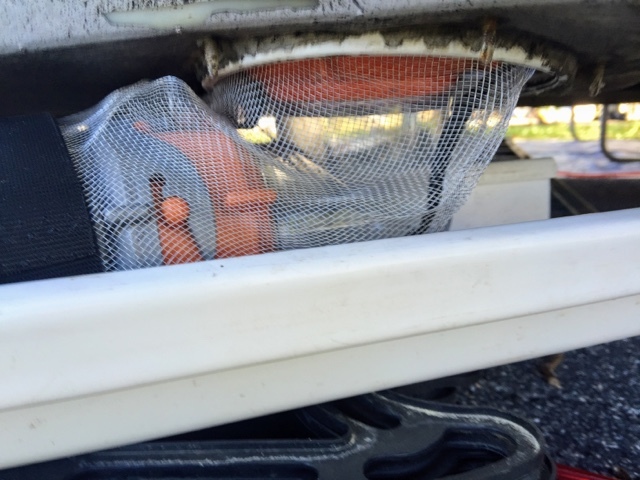 Last ltem, I'm always worried about small animals getting in sewer/water compartment of the motorhome. Due to a hole at bottom were the sewer hose pass thru. Well we found from one of our feller camper a product called "The Sewer Sock" so we went to www.sewersock.net and purchase one for our motorhome. This device blocks the small hole/opening around the sewer hose. So hopefully no animals (snakes) will get into that compartment. Now time to relax and enjoy camp time. Love these mods! I'll want to discuss these more this winter when we get together in Melbourne. We need to do a few mods in preparation for doing more boondocking. The fluorescent fixture rewire is something I'll want to tackle, Bonnie. Great job on the skylight shade! And the dish? What a find! Fred is so happy with the dish Jim and Diana. He can't wait to get it installed. The lights were not difficult just a literal pain in his neck from working overhead.